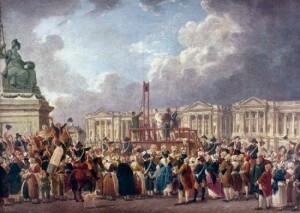 The French revolution lasted from 1789-1795 and it was a time of fear, revolt and death. It affected almost everyone in France from the rich to the poor. The revolution also contributed to most of the rights and laws France still has today, France would not be the same without it. Throughout this time period there was many significant events contributing to the revolution but the most important ones were the Fall of Bastille, the Declaration of the Right of Man and the Reign of Terror. The Fall of Bastille was the start of violence and this is what shaped the course of the revolution. Problems like poverty and the price of bread was not addressed. Riots started breaking out throughout Paris and other cities. This forced King Louis to send mercenary troops to France to restore peace, but this just made the people of France nervous, so they began to arm themselves. 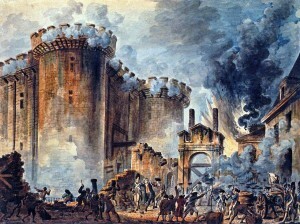 On July 14,1789 a mob attacked a prison fortress in Paris. This was called the Bastille and when troops were sent to eliminate the mob they joined them instead. The Bastille was then quickly captured. Several prisoners were let out and the mean prison governors head was paraded throughout Paris. Within weeks the Bastille was completely torn down, with all the gunpowder inside stolen. The fall of Bastille shaped the course of the revolution because it was the start of violence. Louis’s power as a monarch was slipping away. Also this fortress was traditionally used by French kings to imprison subjects that didn’t agree with them politically, making the Bastille a representation of the oppressive nature of the monarchy. Other significant events like the Great fear and National Assembly reforms also may have never happened without the influence from the Fall of Bastille. In conclusion this event showed that the king only had so much power over his people and it lead to the fall of a monarchy. The Declaration of the Right of Man and the Citizen had a long term effect on France that will lead the country for the future. This document set out basic laws the government should follow. It resembled the United States Declaration of Independence and it also contained ideas from the English philosopher John Locke and French philosophes Voltaire, Montesquieu and Rousseau. This Declaration guaranteed equality for all citizens, as well as freedom of speech, thought, religion, security and property. Overall this made the country more happy because now a peasant was a free man which increased the productivity of the country. Throughout the country wealth was spread, that resulted in higher standards of living. A person would not be punished for what they said and this caused more say in government (enlightenment thinkers). This component was mostly significant because of its long term effect that lead the country for the future. From 1793-1794 after the death of Louis XVI France was a republic lead by the committee of public safety, this time was known as the reign of terror. This was the most radical time in the revolution, even Girondist were imprisoned because they were now considered enemies of the revolution. There was no restrains on the power of the jacobins and France was a dictatorship led by Robespierre. The committee of public of safety passed harsh laws to eliminate any enemies of the revolution and around 30,000 people were sent to the guillotine by Robespierre who deeply believed in France and the revolution. This of course had a significant impact on France. Apart from all the deaths there was some benefits at the time like education, participation in government, taxes based on income and the metric system. This time will be remembered forever and the only way to stop it was, the execution of Robespierre himself. The government had finally realized they had gone way too far. To many innocent lives were taken during this time for unjustified reasons, that went against many of France’s freedoms. Finally the reign of terror was significant because of it’s impact on the country that resulted in many bloody tragedies. The Fall of Bastille, The Declaration of the Right of man and the Reign of terror all played major roles in the French revolution. The revolution came with many gains, although there were several deaths, the good outweighed the bad. The revolution changed France’s future and without it France would not have as many freedoms as it does today. The British were in debt from the expenses of the seven years war so their idea was to create a tax on documents. In 1765 The stamp act was imposed on the thirteen colonies and the Americans were enraged by this so they attacked government officials and their houses. Americans saw this as, “taxation without representation.” Also Americans did not feel the need for British soldiers throughout the colonies which was what the tax was paying for. 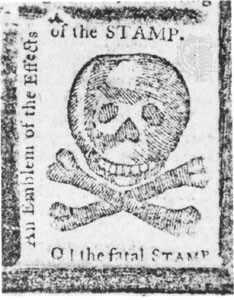 Many English politicians started siding with the Americans and the Stamp act was repealed in 1766. In 1767 the townshend act was created which was a direct tax on shipped goods. This applied on paper, paint, glass and tea. Americans saw this again as, “taxation without representation”. Also the tax actually raised little money so it seemed that it was to only prove to the Americans that Britain still had authority. 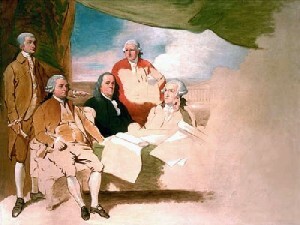 The Americans protested and the tax was abolished once again except for tea to protect the British East India company. More British troops were beginning to be sent to the colonies. Also the sons of Liberty were a group of protesters against tax created by Samuel adams who attacked the British soldiers. Tax on the colonists was required to pay for the cost of operating the governments in the colonies but the Americans abolished both taxes. 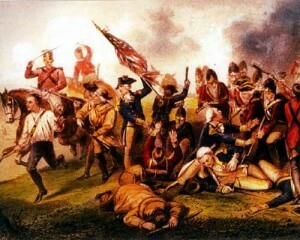 As the American resistance grew more and more British soldiers were stationed throughout the colonies. The Americans were constantly protesting against these soldiers. On 1770 the American colonists were protesting at a government building and provoked the British soldiers to fight back when they threw rocks and snowballs at them. A nervous British soldier then misfired which caused more soldiers to shoot at an unarmed crowd of Americans. 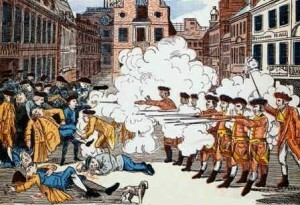 5 Americans died causing hostility towards the British officials. The British soldiers involved were charged, tried and punished. Sons of Liberty were people who challenged British government at every opportunity they had. They did not like the Tea act that still protected the British East India company which was a monopoly on tea. 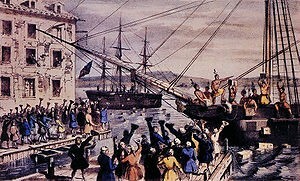 In 1773 sons of Liberty threw a fortune of tea into the water to protest the tea act, this was known as the Boston tea party. They dressed as Mohawk Indians and also burned the British ships. This became one of the most important events leading up to the American revolution. 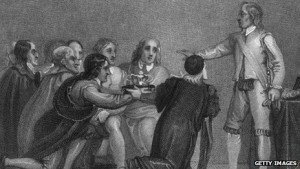 In 1774 parliament was told about the Boston tea party. Parliament wanted the Americans to pay for what they did but of course they didn’t. 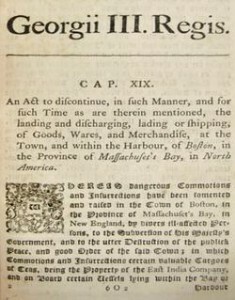 Parliament passed a series of acts that were meant to punish Boston and the state of Massachusetts, to assert British authority known as the intolerable acts. The acts were the Boston Port Act, Massachusetts Government Act, Quartering Act, Administration of Justice Act and the Quebec Act. Colonist felt their rights were violated by these acts because they were far too extreme harsh and unfair. 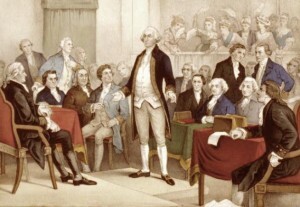 In 1774 all 13 colonies sent delegates to the first continental congress. 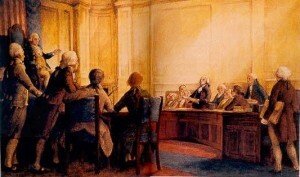 The First Continental Congress began defying the British government. Colonist leaders started demanding that no one buy goods from England, and began cutting economic ties to England. They also demanded the intolerable acts to be repealed but King George rejected the colonist petition. British soldiers were removed from the colonies and the rebellion started so people began storing weapons and ammunition. 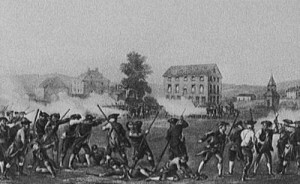 In 1775 General Thomas Gage was sent to Boston to disarm the colonists and arrest the leaders of the rebellion, namely John Hancock and Samuel Adams with 700 men. The leaders of the rebellion were forewarned so they moved their weapons before the British soldiers arrived and created a militia called the minutemen to fight the British. When the British arrived at Lexington someone fired and the war began but, the 70 militiamen were pushed back by the Red Coats to a bridge past concord where the Red Coats destroyed colonist cannons. A battle quickly then erupted at the bridge and in a sudden turn of events the Red Coats retreated. This Battle gave the colonist hope and marked the official beginning of the war. Also as the British retreated many colonist sniped at the army. 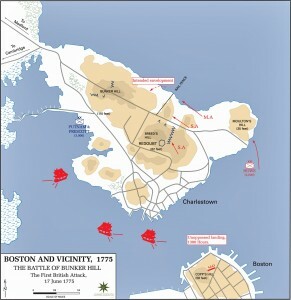 On 1775 Artemas Ward ordered American soldiers to Charleston peninsula overlooking Boston their destination was Bunker Hill, but by mistake the American soldiers went Breed Hill closer to the British position. Major General William Howe told British soldiers to rush the Americans over the hill even though he could have easily surrounded the Americans with his ships. This was a major mistake that killed thousands of British soldiers because it took three waves of men to take over the hill. On the third wave the Americans ran out of ammunition and had to fight with their hands. After this battle the American leader George Washington crafted a plan to take command of the new American Army and form a chain of command. Of course the British Army was known doing this too. 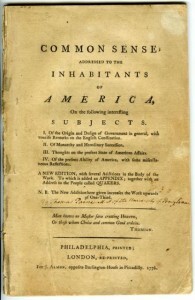 On 1776 Thomas Paine published a book about independence because arguments were growing. This book was called Common Sense and it would provide that extra push to Americans believing in independence. The book immediately became a bestseller and his two main points were arguing independence from England and the creation of a democratic republic. He wrote in the language of the people, often quoting the Bible in his arguments. 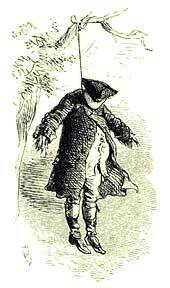 He also had many attacks on King George III. This book influenced the patriot cause even though Thomas was new to the 13 Colonies but, Thomas was unlinked and not Recognized for his work at the time. The moment had finally come. Far too much bad blood existed between the colonial leaders and the crown to consider a return to the past so the colonial leaders decided that Thomas Jefferson was the man to write a Declaration of Independence. 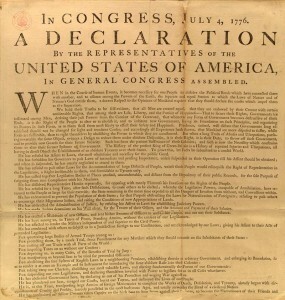 The Declaration was a formal legal document that announced to the world the reasons that led the thirteen colonies to separate from the British Empire. This document had phrases like “ALL MEN ARE CREATED EQUAL,” and “unalienable rights,” but it was mostly a set of abuses that were blamed on King George III. Even though the declaration stated all men were created equal people still had slaves. All they needed was the colonial leaders to vote in favour of this document and on July 4, 1776 it was approved by a twelve to zero vote. For the most part the morale of patriots was low at this point because of their ragtag Continental army but they still had some hope. General Washington planned an attack on the Hessians from three directions to be executed on December 26, 1776, the day after Christmas. When they executed this plan the Continental army crossed the Delaware river during brutal weather conditions and they had to walk nine miles to Trenton. Then Washington’s army was joined by armies under the command of Generals Nathaniel, Greene and John Sullivan. When the battle began hessian forces were overrun and they surrendered in the city, almost no one escaped because the Americans sealed off all escape routes. Although the battle was not important tactically, it inspired the American war effort and raised the morale of the army. The British wanted to end the war quickly by planning to cut off New England from the rest of the colonies by taking New York, Albany and the Hudson River. British Generals Burgoyne, St. Leger and Howe would meet at Albany to defeat the rebel armies. However the stubborn General Howe had different plans, to attack the patriots in philadelphia but he got trapped by the bad weather conditions and St. Ledger army was cut of by Benedict Arnold’s army. 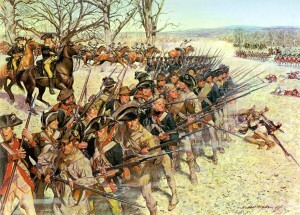 Also Burgoyne’s army became trapped in Saratoga blocked by General Gates and his army. On October 7, 1777 Burgoyne attempted to attack the larger Patriot force, but Burgoyne’s army was defeated by Arnold’s army at Bemis Heights. Due to a lack of supplies and high casualties Burgoyne surrendered. The Patriot victory at Saratoga was a turning point in the war that renewed the morale of the Americans. It convinced France the Americans could win the war and France decided to support the Americans. France sent generals, troops, ships, supplies and money to help Americans win the war. In 1780, the British had shifted their military strategies to focus on the southern colonies where they would face a new American army. This second southern army was commanded by Horatio gates who was voted in by the continental Congress because he was the hero of the Battle of Saratoga. Horatio Gates buoyed with confidence marched his ragtag army to southern Carolina at British lines, but by the time they got there almost half of the army had disease. When British General Cornwallis heard about the American movement he brought his army to meet the Americans. After the armies did meet the Americans were overrun because their lack of military experience. 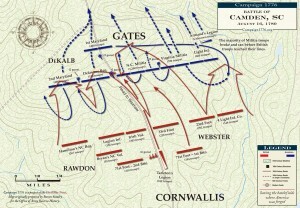 Then Americans fled because of a hard right flank from the British. The battle resulted in total devastation for the Patriot southern army as over a thousand were captured and 900 were killed or wounded. The army’s artillery and baggage train were also capture. On October 14, 1780, General Morgan’s army which was a detachment from Nathaniel Greene’s army was assigned to protect the locals living in between the Broad and Pacolet Rivers but, Morgan was being followed. He was being followed by Tarleton’s army who thought Morgan was going to attack. When the armies finally engaged they were positioned between two rivers so that no one could escape and Tarleton’s army was exhausted from following Morgan’s army. After initial British charge the first two lines of Patriot fighters withdrew and Tarleton believed the Patriots were in full retreat and ordered soldiers to charge. Tarleton was not aware of a third line of Patriot fighters waiting for the British charge. British forces charged directly into the third line of Patriots who halted British advance with a bayonet charge. British soldiers surrendered and others turn and ran. The British army was outflanked and Patriot forces began attacking the British from behind. 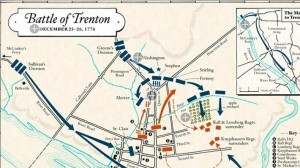 British forces began to retreat despite Tarleton urging them to continue fighting. Morgan captured 712 British soldiers and 110 British soldiers were killed. The battle was a major turning point Southern campaign and Cowpens ultimately was the first step in the eventual end of the war as it caused Cornwallis to abandon South Carolina, engage Greene at Guilford’s Courthouse and eventually withdraw his army to Yorktown where his army would eventually come under siege and surrender. After the embarrassing British defeat by the Patriots at the Battle of Cowpens, British General Charles Cornwallis wanted to Attack Nathaniel Greene’s army in North Carolina despite having half of the troops. Much like the Battle of Cowpens, General Greene had prepared in advance for an attack so he positioned his army in three lines, but they were too far away to support each other. When the armies meet the British immediately advanced on the first two lines despite the fire power from American cannons. British then reached the third line and hand to hand combat engaged. Then the desperate Cornwallis decided to fire heavy guns and cannons over his own soldiers and into the Patriot third line on the hill. This killed many British soldiers but was proved effective because it made all of Greene’s army retreat. 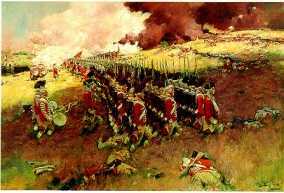 Cornwallis army suffered many casualties from this battle even though they won but soon Cornwallis would led his battered army to Yorktown. 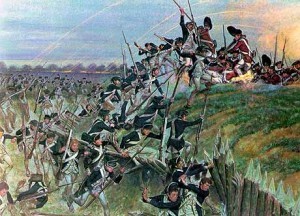 By 1780, the Revolutionary War was raging in both the North and the South, and French forces had fully committed in the American effort to defeat the British. The French and American forces created a plan to end the war quickly by combining armies and marching to Yorktown to trap Cornwallis in Virginia. This meeting confused the British because the American/French leaders meet just outside of New York and the British thought that they were going to attack there, preventing British from sending troops to help in Yorktown. Soldiers had to March 200 miles in two weeks, the plan worked perfectly and American forces started building trenches close to British bases so that they could store heavy artillery in them. The Americans closed in on the British with their firepower by moving Heavy artillery closer and closer after destroying their bases. 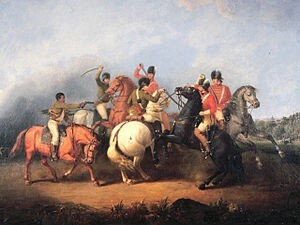 Eventually with Alexander Hamilton leading the way the Americans defeated the British. Then Cornwallis tried desperately to escape with his army on the river but the bad weather held them back and forced Cornwallis to surrender. 2 days later the British officially surrendered and the Americans took more than 7,000 British troops to prison and the entire Revolutionary War had nearly come to an end. Yorktown would be the last major battle of the war. Britain agreed to recognize American independence. They gave Americans fishing rights to the Grand Banks off the coast of Newfoundland. Also Britain granted U.S. all territory between Allegheny Mountains on the east and Mississippi River on the west. Approximately 20% of American colonists supported British rule and remained loyal. They were persecuted by the Patriots during the war. Also patriots abused them and burned their homes and farms after the revolution. The Treaty of Paris was signed, between 80,000-100,000 Loyalists had to leave U.S. Many settled in other British colonies in North America Quebec, Nova Scotia and Island of St. John (PEI). 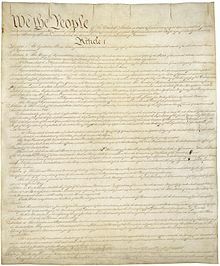 The constitution outlines the structure and powers of Government. Three branches of government were formed and are separate, balanced off by the power of the other two. U S states that the constitution is supreme and all persons are equal before the law. Also people can change the constitution. The first 10 amendments (additions) checked of the constitution. They represent ideals regarding individual liberty, limited government, and the rule of law. 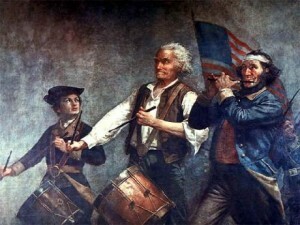 American Revolution spread ideas of liberty, individual rights and equaldity to other parts of the world. It influenced and inspired other revolutions around the world such as France in 1789. 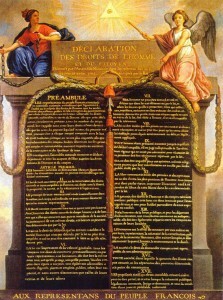 American Declaration of Independence had some impact on the French Declaration of the Rights of Man and the Citizen of 1789. Charles not ruling according to the law had an obvious influence on the Civil War and the Magna Carta was a ducment put in place to have everyone including the king follow the law. But Charles believed in the opposite of this and followed after his father foot steps. He believed in the Divine Right of kings stating that kings are justly called Gods and have absolute power. An example of this is Charles being very much against freedom of speech and him cutting of people’s ears for libel, after he stool the common’s people land. Charles used a Court of Star Chamber to convict, fine and imprison innocent people. This cause of Charles not ruling according to the law also involves many other causes of the civil war like Charles obtaining money without parliments consent and Charles attacking puritans. In conclusion this cause is what had the biggest influence on the civil war. The solemn League and covenant was an extremely siginificant component in the civil war because if this document was not signed the civil war may have resulted in a different outcome. 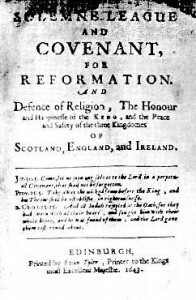 The solemn league and covenant was an alliance between the English Parliament and the Scottish. Also this component is related to The New Model Army because of the renforcement of the army. It’s immediate purpose was to overwhelm the royalist, who seemed to be in a strong position to win the civil war and this definitely helped the Parliament. The New Model Army shaped the outcome of the of the civil war. This New parliamentary army lead Cromwell into defeating the royalist in the battle of Naseby and the army was a military force based on a persons ability rather than on your position within society. Cromwell who was one of the main leaders in parliment to organize this New Model Army did not care about labels. The solemn league and covenant involves the New Model Army as well. 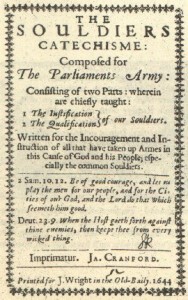 Also this army, “had God on there side.” Lastly The New Model Army was a key to the parliaments success because it put all the other steps into place for them to capture the King. 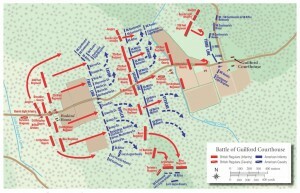 The Battle of Naseby is the most significant component in the Civil war because it is the turning point. Prior to this Battle there was no obvious indication that either the Roundheads or the royalist had any military advantage. However, the overwhelming defeat of the royalist ended this and almost certainly doomed Charles I to his defeat. This lead to a downhill spiral for royalist and an obvious victory for the Parliament. 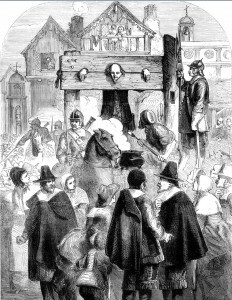 Charles I execution was the most significant consequence because it had an immediate and long term effect. Charles I was charged with high treason and the only allegation for that is death. 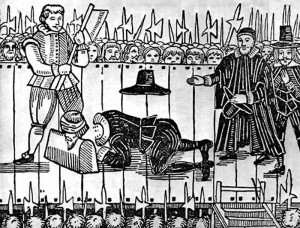 This execution was so controversial because Charles was the first Monarch to ever be executed. This also resulted in England becoming a republic for the first time in history instead of a Monarchy. But Cromwells rule was disliked and lead to the return of the Monarchy on behave of Charles II. England would then remain a monarchy till the end of time. Instrument of government appoints Cromwell lord protector is a significant event because it had an immediate impact. This made England a military dictatorship which has never been done before, and split England into twelve districts. Giving Cromwell these powers of a Lord Protector gave him similar or more powers then the king. Also this allowed Cromwell to have absolute power when parliament was dissolved and he used it to his advantage. For example he created the blue laws and the puritan commission which were both very unpopular. Potentially Cromwell could have followed Charles foot steps and drove England into another civil war because of how much power he had which was very scary, but he just influenced the return of the monarchy. General Monck recalling Parliament and inviting Charles II to be king was a significant event because it was the turning point. After Cromwell died and his son resigned to be lord protector, England was on the verge of anarchy. 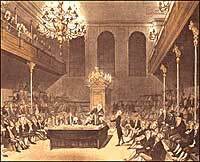 General Monck then saw a opportunity to come to England with his army and recall parliament. After he ordered an election for a new parliament, they invited Charles II to be king and the Monarchy was restored. With no other ligament leaders in England General Monck could have taken the country in many different directions. England was on the verge of anarchy and the people having no one to look up to their possibly could have been another civil war. In conclusion government was back to the way it was and the Monarchy was restored. Parliament passing the test act had a significant immediate and long term effect. The Test Act was ducment put in place to prevent Catholics from being in parliament or holding any other high office. The immediate effect was controversial because Charles II just made an alliance with France that made him a Catholic but parliament did not know that until his death. 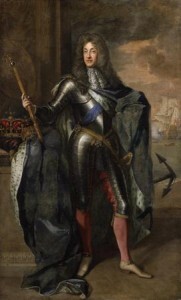 Also Charles brother James II was a Catholic who was the next in line to become the King of England. The long term effect was that James II was always violating the Test Act by appointing Catholics to government positions. This means if the Test Act was not put in place the glorious revolution may have never happened because Parliament would have liked James II more and not have invited Mary to become Queen. Finally Parliament passing the Test Act was the most significant component because of the long term effect. James II violating the test act and appointing Catholics to government positions had a massive impact on the Glorious revolution. 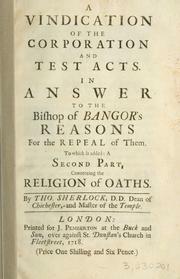 The Test Act was ducment put in place to prevent Catholics from being in parliament or holding any other high office. Already parliment did not like James II because he was a Catholic but then he started appointing Catholics to government positions. This is what influenced Parliament to make the decision that they had to replace James II. Then parliament decided to invite Mary and William to become King and Queen and James II abdicated the throne. In conclusion if James II did not violate the Test Act, the Glorious Revolution may have never happened and it was the first time parliament chose the Monarch instead of hereditary right. The Bill of Rights is a significant component because of its long term effects. The Bill of Rights showed that parliament was the supreme leader of the country and they choose the monarch. Once again this document limited the power of the Monarch and gave more control to parliament. This also lead many other countries to make their own versions of the Bill of Rights. Through the Bill of Rights common’s people life was enhanced by giving them freedom of speech and government vote. Overall this made a standard for many countries and was the start of what law resembles today. Today in class we just watched the film Cromwell. I believe the film was very helpful to me because seeing the comedy and bloody parts in the film made me focus in more than the textbook. The causes of the civil war were also represented very well without being boring, but I do think some cause were represented better than others. For example Charles taking money from the parliament and disobeying the law was shown entirely throughout the film. Charles advisors being unpopular and the grand remonstrance was only showed in a couple of scenes. In conclusion I loved that were able to watch the film so I could understand the causes of the civil war better. Is V a more of a freedom fighter or terrorist? Anytime you use violence against innocent peolple wether accidental or not, it is terrorism, but really there is a bigger picture behind this terrorism. V was living under the law of the British government, who were keeping people in seperate factions and hurting other racises. V wanted to create a rebellion against the government and he used terrorism to form this rebellion. He wanted to blow up the parliament. Inclusion I believe V is a freedom fighter because he wanted to bring down the government and convince the people to rule themselves. Inquiry Question: Is V a more of a freedom fighter or terrorist?